SPECIAL DEAL - Usually 74.97, today just 19.97 - Save £55! 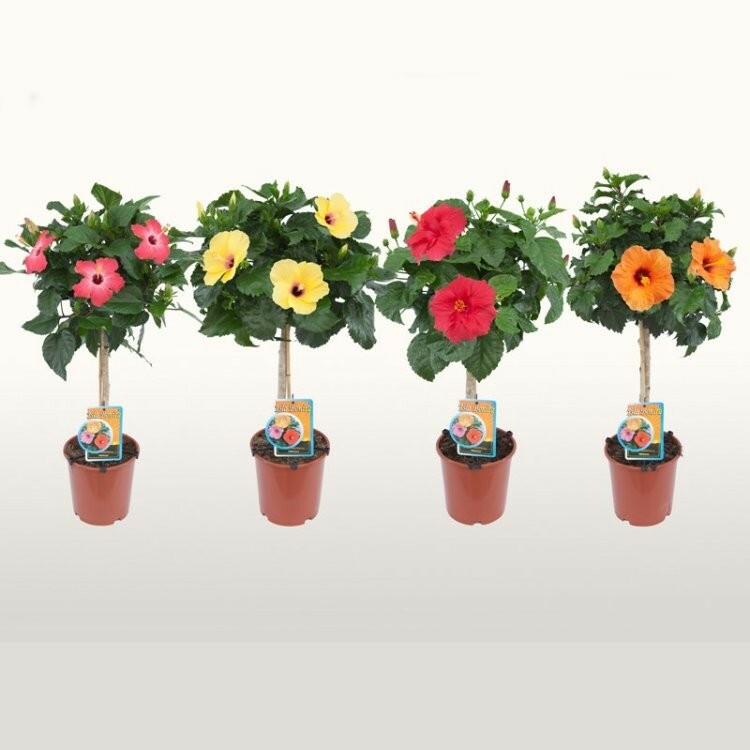 Perfect for the Patio in summer, and indoors all year round, these Tropical looking Hibiscus trees just shout Hawaii when you see them, with bold, brightly coloured trumpets of flowers just shouting for attention against a backdrop of dark green leaves. Making us think of tropical islands, these exotic plants are surprisingly easy to care for, just keep them watered and in a sunny room or a conservatory in winter, and grow out of doors on the patio in summer. The flamboyant trumpets appear one after the other all summer, and year round indoors. 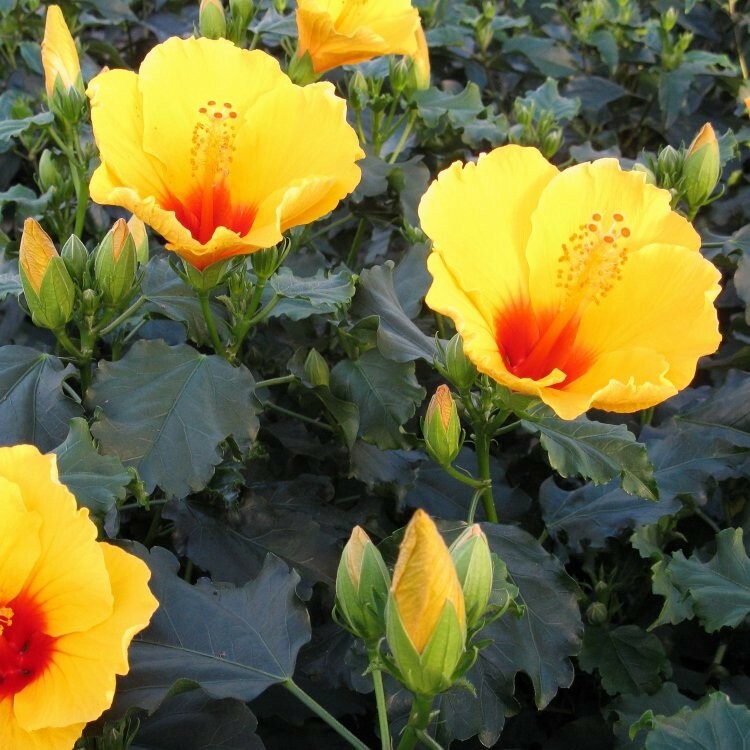 Supplied in bud and flower in season, Hibiscus such as this are normally only available as a bush, but we have them here as smart little trees around 80-100cms tall, they are quite simply stunning. Coming in a selection of bright colours, we will send you a mix of our favourites with this set of three. Position them at the centre of Patio planters surrounded by other seasonal flowers, plunge in to beds and borders, or simply use indoors. Supplied in approx 3 litre containers at around 80-100cms tall overall height.